A compilation of traditional and contemporary music and song performed by singers and musicians from Oban, Lorn and the Isles. 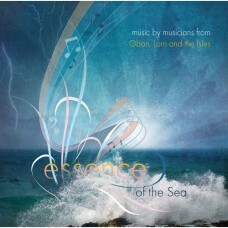 All profits from this CD support the Festival of the Sea. The Festival of the Sea is a biennial 10-day community event where people in the areas of Oban, Lorn and the Isles celebrate the marine environment and their sea-dependant heritage with images, music, talks, walks, performances, open days, presentations, food and outdoor pursuits. It is organised by the Scottish Association for Marine Science and supported by grants from the Scottish Government and Argyll and Bute Council.